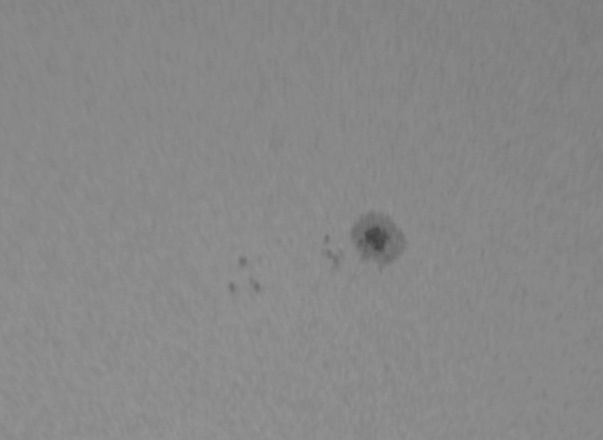 A new sunspot did form where a nascent sunspot appeared to be forming yesterday. It has been given the designation AR1073. It remains to be seen if it will develop into a significant spot or whether it will dissipate. However, as it has formed near the noth eastern limb, that area will be visible for several days. Sunspot AR1072 is nearing the western limb of the Sun but in the north east an active region is evident in white light, H-alpha and Ca K-line light. A DMK21AS camera was used in conjunction with H-alpha, Ca K-line PSTs and an f/5, 6" refractor fitted with a Baader photographic solar filter. The images have been colourised to indicate the wevelengths being used. The sunspot is retreating to the western limb of the Sun and will soon have gone. 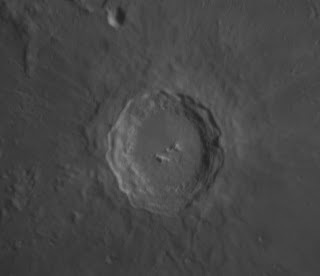 On May 22nd - 24th I observed the Sun in H-alpha, Ca K-line, Green continuum and white light. 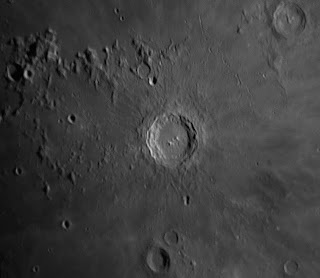 Last night I took a few images of Copernicus on the Moon. 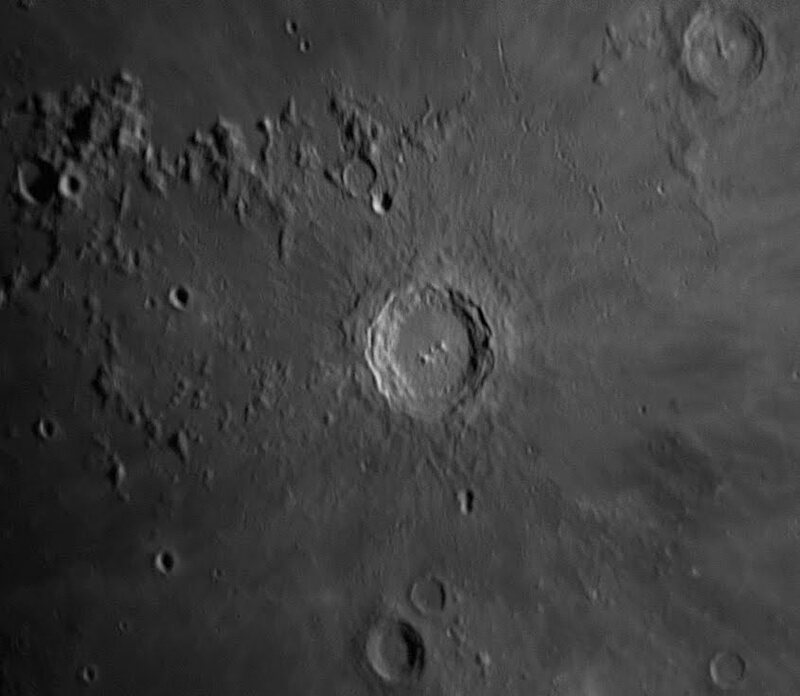 They were taken with my 11" Celestron telescope, the first at prime focus and the last with a 2.5x barlow through a DMK31 monochrome camera. This morning I imaged Sunspot 1072 through my 80mm Skywatcher refractor, baader filter, a 2.5x barlow and the DMK31 camera. 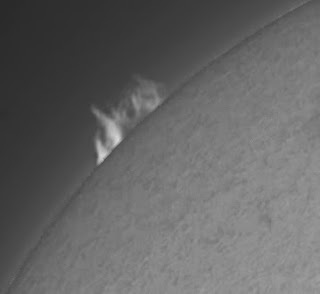 Using my Coronado PST I imaged a prominence using a 3x barlow and the DMK31 camera.